A native of New Orleans, Louisiana, Mr. Piacun practices in the firm's General Litigation section. Comment, “The Abolition of Strict Liability in Louisiana: A Return to a Fairer Standard or an Impossible Burden for Plaintiffs?,” ___ Loyola Law Review ___ (1997). Conducting Discovery and Doctor Depositions, National Business Institute, Kenner, Louisiana, 2018. Admission/Exclusion of Unique Evidence, National Business Institute, New Orleans, Louisiana 2017. Winning the Low Impact Case: Attacking the Defense Injury Causation Expert, Louisiana Association of Justice, Baton Rouge, Louisiana 2008. Defeating ERISA Subrogation & Reimbursement Claims, Academy of New Orleans Trial Lawyers, New Orleans, Louisiana, 2003 & 2004. Defeating ERISA Subrogation & Reimbursement Claims, Louisiana Bar Association, New Orleans, Louisiana, 2004. 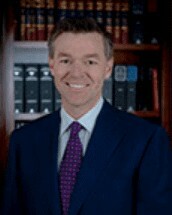 President (Inner Barrister), New Orleans Academy of Trial Lawyers, 2006-2008; member, 2003-present. Board Member, Louisiana Association of Justice, board of directors, 2018-present; member, 2004-present. Member, American Association for Justice, 2004-present. President, Croatian Benevolent Society, 2013-present. Vice-President, Croatian American Society, 2010-present.